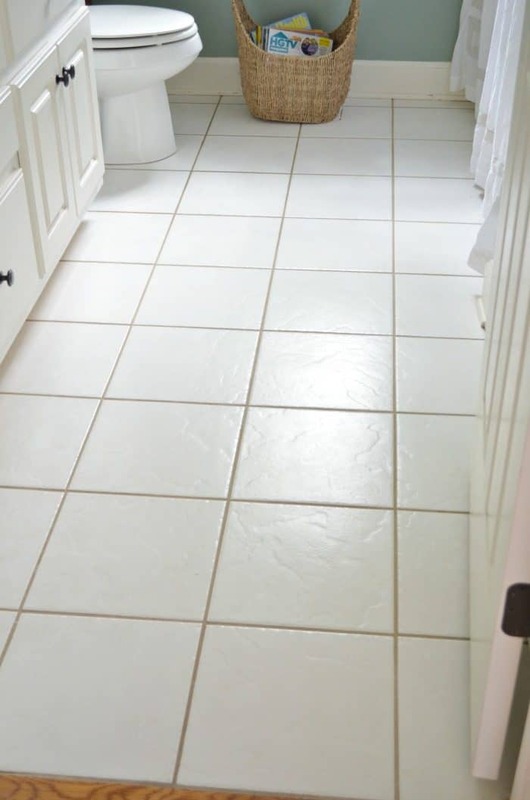 Do you procrastinate when it comes to cleaning your tile floors because you think it is time consuming! 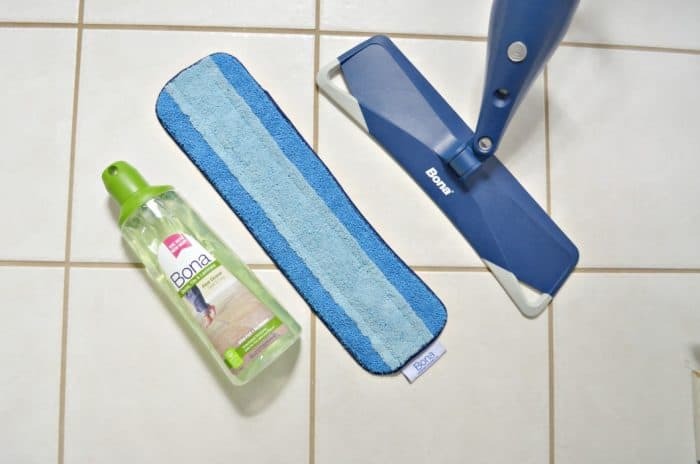 Check out this post to see how a simple cleaning habit for tile floors has made my life so much easier. This post is sponsored by Bona. All opinions are my own. Affiliate links are provided for you. 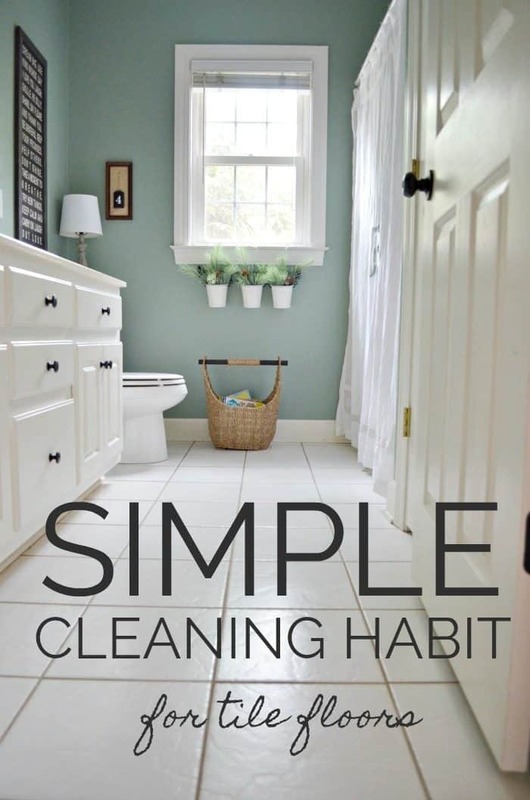 There are certain times when deep cleaning our home is necessary but I believe the process could be much easier by incorporating simple cleaning habits into the daily and weekly routine. Habits are much easier to keep if they are simple. One thing I am doing this year is searching for an easier way to do task and chores. I don’t know about you but mopping, especially my tile floors, has never been one of my strongest chores. By procrastinating a chore that I internalized as complicated, I made more work for myself. I knew there had to be a product out there to help me with this task I dreaded. One thing about tile, it’s durable and takes dirt and grime well. However, neglecting tile floors leads to build up and that build up creates more work in the long run. All it took was for me to try the Bona Premium Spray Mop. In only minutes the mop was out of the box and snapped together. A few clicks was all there was to it. Then adding the Bona Stone, Tile & Laminate Cleaner Cartridge and the micro fiber cleaning pad to the mop took one more minute. Seriously, it was that simple. 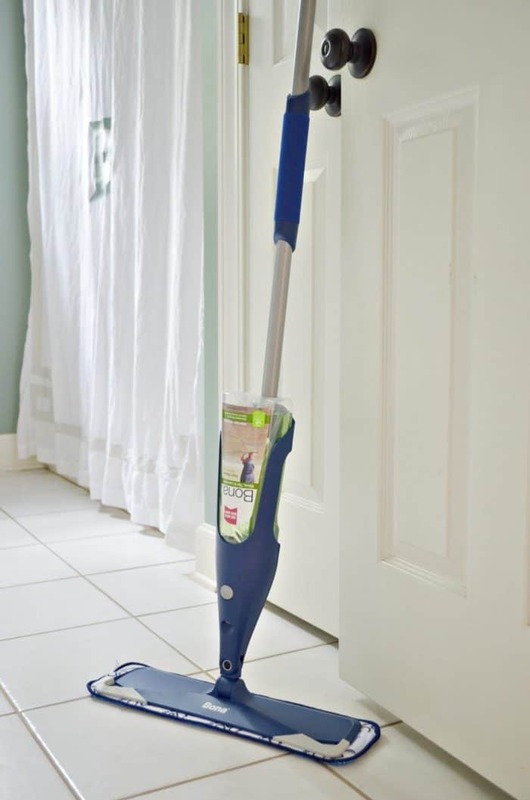 The spray trigger releases the cleaner directly onto the floor and the microfiber pad does the mopping. My new cleaning habit goal is to mop my tile floors weekly. All I’ll need to do is sweep or vacuum first to remove dust and dirt. The microfiber cleaning pad attaches with velcro so once I’m done I can toss it in the washer. I told y’all I was looking for simple habits that I can stick to. This is it. Now my tile floors will get a weekly complete cleaning that is gentle and effective! I also cleaned my tile floors in the laundry room and my master bathroom in the same day. 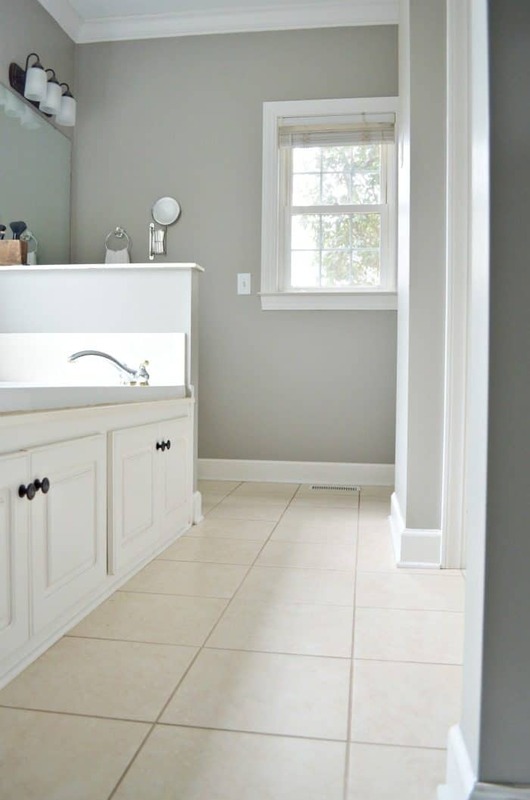 I don’t think I have ever shared my master bathroom on the blog. It’s a water-based formula that is GREENGUARD GOLD certified for indoor air quality. It is safe to use for your home and around your family. Dries fast and leaves no dulling residue. The specially designed degreasing formulation effectively removes dust, dirt and grime leaving floors clean and beautiful. It is formulated for linoleum, stone, terrazzo, vinyl, sealed porous marble, laminate and no-wax sealed tile. Safe on hard surface floors, as long as they are sealed or finished and unwaxed and unoiled. I’m not the only one looking at more effective ways to clean in the new year. See how my friends are cleaning their homes and getting organized in 2019. 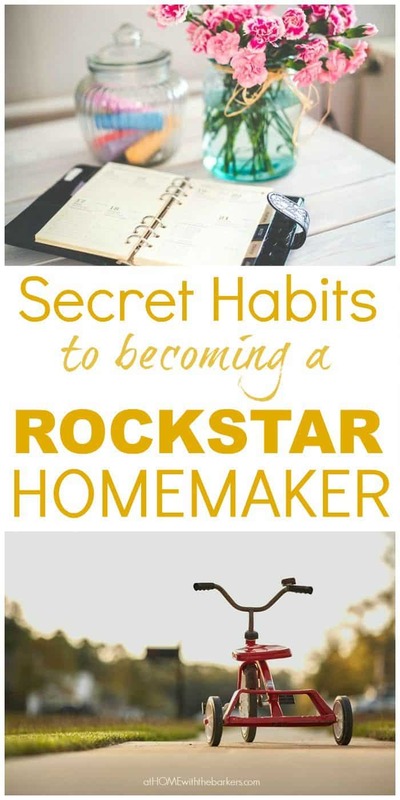 AND if you’re truly ready to get your home in order read on! I love all of these tips. We don’t have tile floors in our home, but we have a mix of hardwood and laminate. I love that Bona has different cleaners for the different floors in our house! Thanks for sharing these tips! Great tips, thanks for sharing! 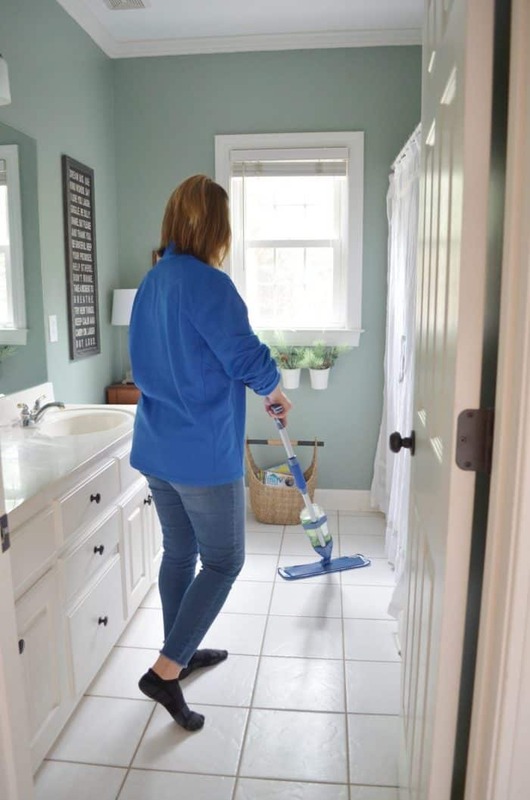 I’m one of those procrastinators when it comes to tile cleaning, but I believe these simple, yet effective tips will help me beat this, even more so when I think of layering some cozy rug over the fresh, clean tiles. 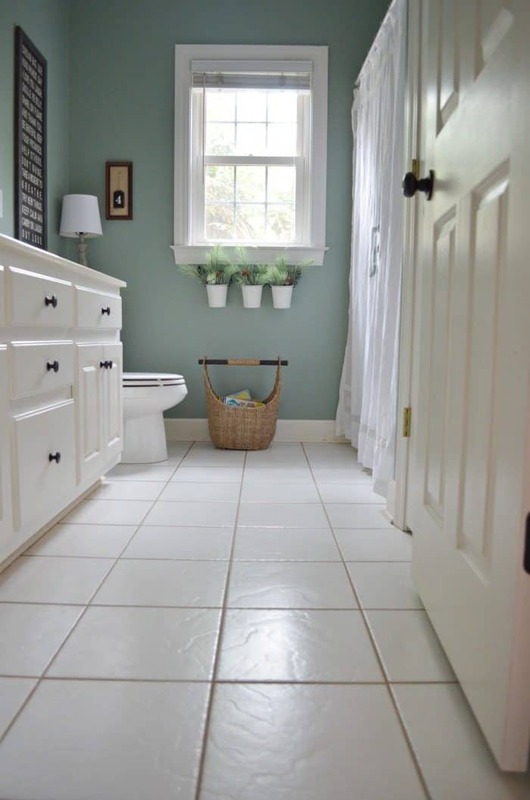 This bathroom is precious and I love how easy this mop is to use. I can actually keep up with it! yay for small goals! Where can you purchase the Bona system?